Welcome to Animal Health Clinic, your local veterinarians in Baton Rouge. 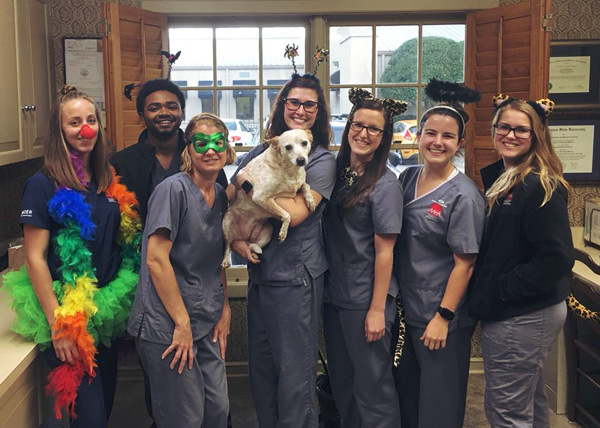 The Animal Health Clinic is a full-service small animal hospital nestled in the heart of Baton Rouge that has been serving the community for over 40 years. We are pleased to provide a wide variety of veterinary services for cats and dogs in the Baton Rouge area. Our team is devoted to animal well being and quality of life by staying on top of the latest diagnostics, treatments, and wellness programs. Your pet’s optimal health is our team’s main goal. We love educating and working together to keep your beloved furry family members happy and healthy! The doctors and staff invite you to learn more about our small animal hospital and how we can better serve the needs of you and your cherished pet. Feel free to call or stop by and meet our team anytime! As a part of our dedication to practice success and quality pet care, Animal Health Clinic has voluntarily achieved the high standards of AAHA since 1993. 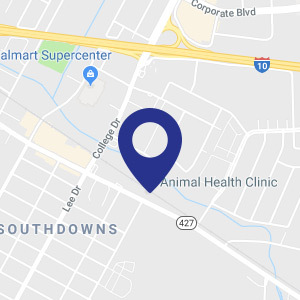 Animal Health Clinic is one of only three veterinary clinics in and around the Baton Rouge area that is AAHA Accredited. AAHA developed the accreditation program to raise the level of care being provided to companion animals and to provide a way for animal hospitals to show their excellence to their communities and clients. When your pet receives care from Animal Health Clinic, you are assured that it is receiving the very best! Animal Health Clinic of Baton Rouge specializes in compassionate veterinary care in a relaxed and comfortable atmosphere. 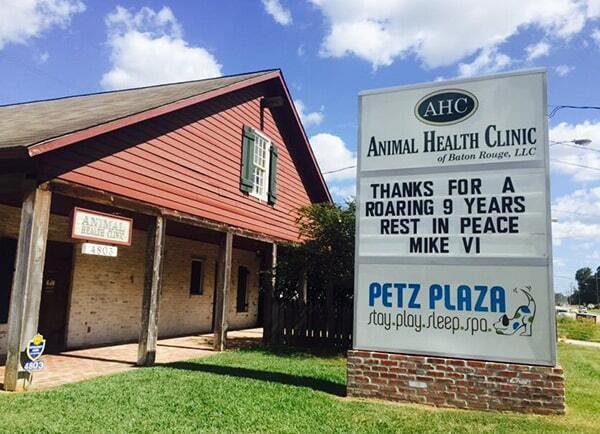 Animal Health Clinic opened its doors in 1972, originally located in the Southdowns area of Baton Rouge. The shot-gun style building was split: the front was the veterinary clinic and the back was Dr. Hackett’s home. The hospital was maintained in its original location for 4 years. In 1975, the building was demolished and a 2,400 sq/ft building was constructed as a veterinary hospital. Animal Health Clinic then moved to its current location on Perkins road in 1983, a building Dr. Hackett had constructed, where we have been proudly serving our clients for 46 years!